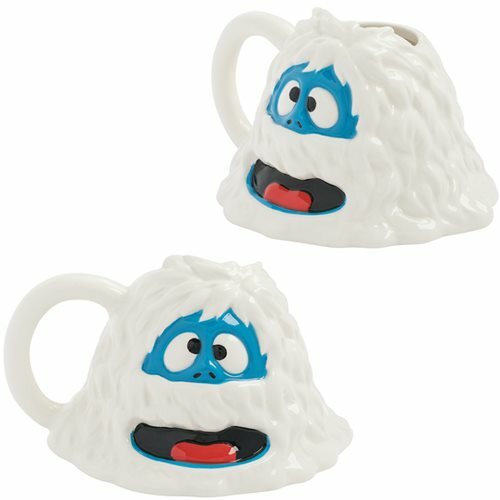 Oh my, it's an abominable snowman! The main antagonist in the 1964 TV special Rudolph the Red-Nosed Reindeer is back in the form of this terrific Rudolph the Red-Nosed Bumble 16 oz. Sculpted Ceramic Mug. Custom sculpted and beautifully crafted to make it a unique collectible, it measures about 4 1/4-inches tall and comes in a full-color gift box. Microwave safe. Hand wash recommended.